A winning company culture not only helps employees and customers fall in love with the organization, but it also drives business success. Disney is perhaps the most famous example of a company that managed to build a thriving business mainly by creating a winning culture. Simply put, culture can make or break a company because it can indeed set the tone for everything that goes on inside a company. Additionally, a winning company culture will help you stand out from your competition. That said, here are four business speakers who can help you transform your company for the best. Over the years, he has worked with big companies such as Coca-Cola, Amway, Unilever, and Samsung, and significant leaders such as Nelson Mandela. Buhle’s keynote speeches are extremely well-received because he uses his personal story to connect with the audience. If you’re looking for a business speaker who can also inspire audiences, then he’s someone you need to consider. Buhle’s insightful keynotes touch on essential topics such as maximizing potential, leadership, organizational culture and managing diversity. What’s more, he has a magnetic stage presence which will set the right vibe and energy for your event. And your audience will be fascinated by his stories and business insights. Here’s a sneak peek from one of his speeches. Paul Hill spent 25 years working in NASA’s iconic Mission Control where he was responsible with leading human spaceflight operations. Now, his mission is to provide the insider’s look at the leadership values and culture that have been critical for NASA’s wins. Paul focuses on teaching companies how to battle and approach their challenges, but also how to improve their team performance by creating a winning culture. If you believe that it’s time to assess your leadership culture or want to help your teams make a change through critical thinking, then Paul Hill is a business speaker that can help with this. To get a sense of how he is on stage, you can watch this TED talk where he talks about leadership values. Teri Yanovitch is a dynamic and insightful speaker who teaches organizations how to create a culture that consistently delivers amazing service at every customer touch point and engages employees. She combines her customer service experience with her management skills to help companies create a culture of customer and employee loyalty. If you book her to speak at your event, Teri is going to show you how to identify the critical elements that can make or break the customer experience. Also, she will share tools and techniques that will allow you to create and implement excellent service. You can watch a small portion of Teri’s speech where she discusses customer service below. What company does not dream of managing and empowering their staff at the same time? While this balance cannot always be attained as rapidly as they would like, the process can be fastened. Bringing in a keynote speaker like Nathan Jamail will secure the teamwork efforts within any corporate environment. If you have never heard this name, have a seat and meet the man with two decades of leadership coaching under his belt. The Dallas-based coaching expert has spent the last 20+ years perfecting his craft as a sales expert, businessman, and sales coach. After having excelled as a sales executive, Nathan figured he had to share his expertise and help others grow. A business management graduate, he had both the theoretical and practical knowledge base to do so. His efforts materialized in the Jamail Development Group, which has been an invaluable help to businesses across the country since 2004. 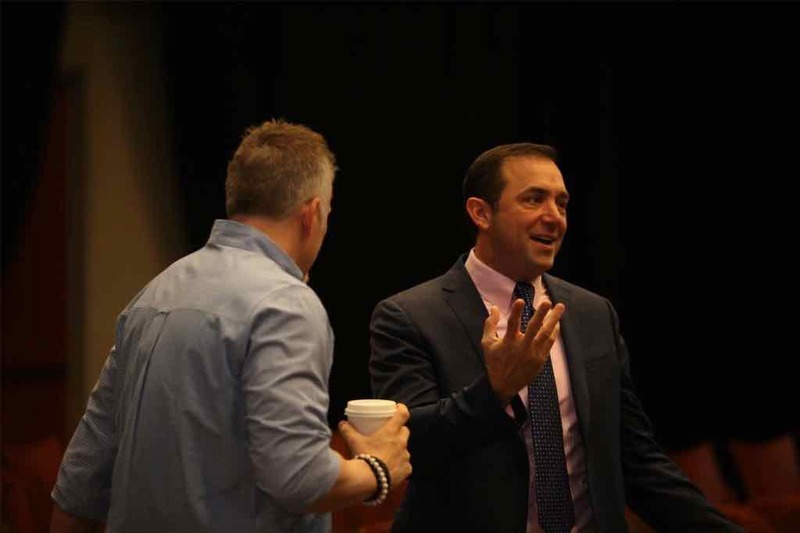 This program is enabling Nathan to reach out – as a keynote and motivational speaker – to hundreds of businesses in need of better processes. What’s more, he is also a best-selling author, with 4 books on sales and skill development. However, Nathan’s efforts go even further. He seems to be on a mission of turning leaders into experienced coaches. How Can Nathan Help YOUR Team? First, let’s outline the key points. The best part about his approach? You are offered a keynote presentation catered to the specifics of your organization. Having been in the business for quite a while, Nathan knows how important an individualized speech is. He is also specialized in workshops ranging from 2 to 8 hours. These create the perfect springboard for a more action-driven teamwork. Many top companies use the wisdom in Nathan’s books to build their core business and leadership values. He has been building his reputation as a coaching specialist ever since he won several National Sales Excellence Awards. The pillar of his coaching approach? A credo: attitude is a key factor to a swift team performance. Plus, a highly engaging and straightforward discourse. 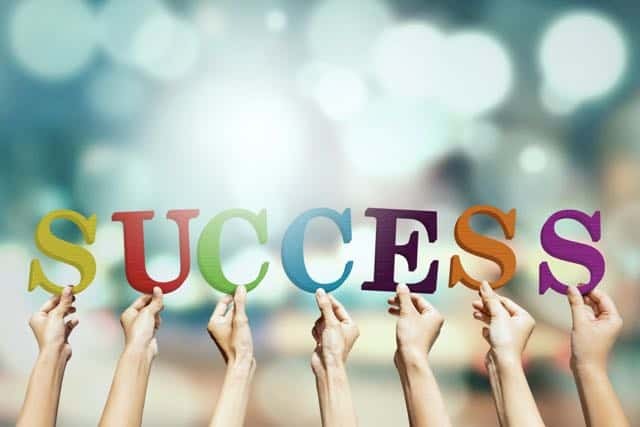 If you want your company to reach its full potential, you need to cultivate a ‘can-do’ mindset, but also offer your employees the means to achieve it. Nathan Jamail’s speech will convey the right dose of inspiration and valuable input to your audience. He is a man to leverage both your management leaderboard and the rest of your team. Do you want to create a flourishing business environment? Are you in for providing valuable growth opportunities within a self-sustaining business climate? Then getting Nathan Jamail to your event could prove the best investment in your company culture. 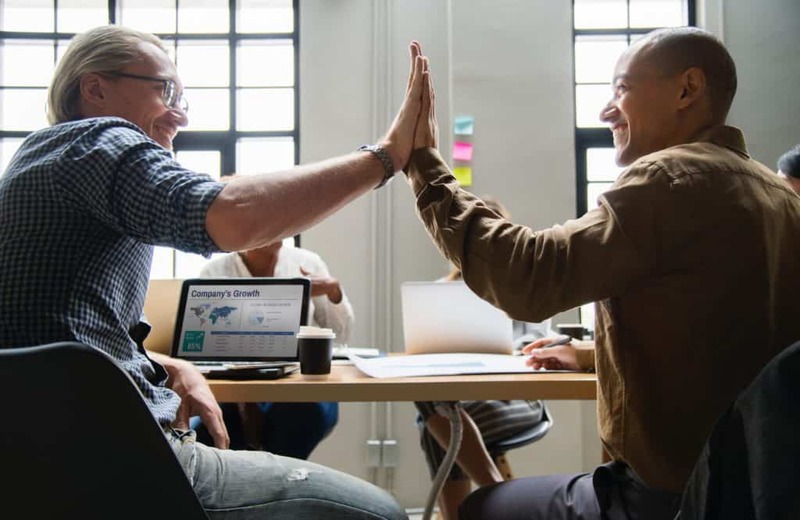 Your company culture can make a world of difference when it comes to retaining not only your customers but employees as well. By creating a winning culture, you will also reinforce what your organization stands for, which will help you attract the workforce that identifies with your values. Want to make a change within your organization? Book one of these speakers by contacting us at (615) 283-0039 and transform your business. Jeff Civillico knows chances are your company is facing one or more various challenges: a shrinking customer base, increasing competition, lower profits, high turnover, etc. In today’s economy, no one is immune from setbacks and obstacles. So what makes one company able to rebound and recover in the midst of adversity while other companies throw in the towel and give up? It all depends on the company’s ability to work through the challenge as a team. Despite the proliferation of team building advice available, the fact is that most people don’t work together to accomplish something good for the company. Even though many workers give lip service to the idea of teamwork, they really still want to be seen as the hero – as the Lone Ranger who tackles the problem, figures out a unique solution, and gets all the credit. Compounding the problem is the economic meltdown. Since many companies are cutting costs and laying people off, no one wants to be seen as useless or dispensable. As a result, they take every opportunity they get to stand out and appear more knowledgeable or more skilled than anyone else. While such an approach may enable someone to stay on board for another pay cycle, it does little to solve the company’s challenges. In order for true problem solving to take place, everyone needs to put pride and ego aside and truly work together to come up with viable solutions. In order to do so without feeling threatened or vulnerable, instill the following guidelines in your organization. If you don’t really understand who you are, what you stand for, and what you’re good at, you’ll never have the confidence and security to step outside yourself and see things from a new perspective. You’ll be forever stuck in the Lone Ranger mindset because you’ll be afraid that allowing someone else to assist you on a project will expose any shortcomings you have. The fact is that those who are confident know who they are and where their strengths lie. As a result, they are able to let go and reach out to others for insight and help. Because they know themselves individually, they are better team players – playing to their strengths and getting assistance for the rest. Therefore, give yourself the opportunity to get to know yourself. Do some periodic self-reflections to keep yourself grounded. Look at yourself from a work perspective as well as a family or personal one. Ask your friends, family, and co-workers what they perceive as your strengths and weaknesses so you can gain self-knowledge. Additionally, many people find such things as meditation and reflection useful for discovering their core interests and talents. Know your role at work. You were hired for your current role for a reason. What is that role, and what was the reason you were chosen to do it? If your role has changed since you were hired, figure out how and why it evolved. Was it a deliberate re-focusing of your role, or did it “just happen”? Also look at how your identified strengths help you fulfill your role to the company. Realize, too, that other people have their roles. There’s a natural hierarchy of the company or team, and you need to respect that. Think of the team or company as a system. A more efficient system will get better results; therefore, you need to let each part of the system do its role in order for the system to run smoothly. So if you’re not “the computer guy,” don’t pretend that you are. Defer to someone who is adept at that role so you don’t slow down progress or make things worse. Deferring to others can be hard, especially when you need to refer to a junior staffer. After all, no one wants to give up their power. But you’ll have better results when you do. For example, in a healthcare-focused company, the boss may be more familiar with broader trends of the healthcare industry, but the junior staff may be more familiar with details of cardiology drugs, doctor reimbursement guidelines, etc. In this case, the junior staff provides information to supplement or guide the experts. That’s how working together and using everyone’s strengths can solve problems. No matter what challenges your company is facing, bringing everyone together for a brainstorming session is sure to help. The key to an effective brainstorming session is to instill a sense of “blue sky thinking.” In other words, no idea is dumb, off-limits, or too crazy to voice. Use a whiteboard to record all the suggestions and to map out how you’ll get from Point A to Point B. Start with the big ideas, pick a few that make sense, and then focus them down. As long as you keep the environment positive and light-hearted, people will be eager to participate and offer their ideas. Conduct group exercises to get people engaged. During company meetings or group retreats, get everyone to participate in some sort of group activity/exercise. Make sure everyone takes on a role and participates. For example, you can put people together in groups of five or six and give them the task of building a paper airplane. They have to design it, measure the distance it travels, and give it a marketing pitch. The group then has to divide up the labor and come together at the end to perform a cohesive discussion of their product. The goal of any exercise like this is to get people working together and tackling something new. Whatever the exercise is, it should be irrelevant to the current challenge your company is trying to solve. You want people shifting their perspective so they can see problems in a new light. Additionally, instruct people to take on roles they normally wouldn’t do. So in our paper airplane example, perhaps the accountant is responsible for the marketing campaign and the salesperson must take on a design and product development role. This enables people to understand the complexity of other roles and helps them see routine things in a new way. Maintain a sense of play at work. During tough economic times, it can be difficult to stay positive at work. However, if you want to be a lean, mean, problem-solving machine, that is exactly what you must do. Negativity and pessimism are self-fulfilling and will doom any plans to failure. Therefore, keep a joyful mindset and choose to look at situations in a positive way. If you have some negative nay-sayers who are bringing the group down, talk with them to see if you can help them change their attitude, as their outlook and behaviors affect the whole company. If they won’t or can’t change, then it’s time for management to decide if they’re the type of people who can contribute to the company’s overall success. When people take the time to shift their perspective about themselves and those they work with, everyone can come together for effective problem-solving. So stop giving lip service to the concept of team building. Take a proactive approach to getting everyone on the same page and engaged in solving the company’s toughest problems. When you do, no problem will be unsolvable, and you’ll have a dedicated and engaged workforce that takes the company to new levels of success. 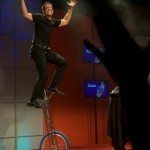 Civillico is a Las-Vegas based headline entertainer who blends his perfected art of juggling with friendly audience interaction and insane amounts of energy. Jeff is thrilled to perform as a Headline Entertainer on the Las Vegas strip with his own show.